She undertook the sortie from IAF's Jamnagar base on Monday, he said. Three women pilots, Chaturvedi, Bhawana Kanth and Mohana Singh, had undergone strenuous training programme to fly fighter jets. Indian Air Force's flying officer Avani Chaturvedi on Thursday became the first Indian woman to fly a fighter aircraft, an IAF official said. 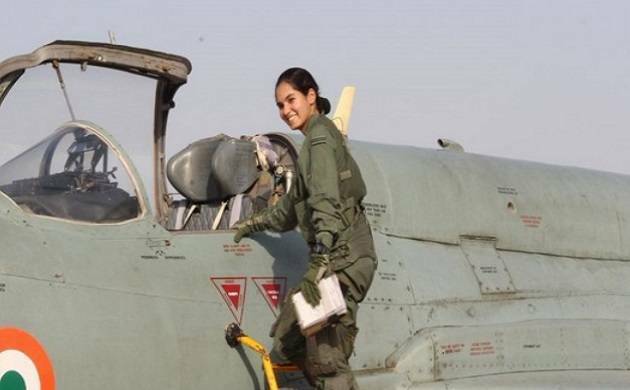 "Chaturvedi became the first Indian woman to fly a fighter aircraft solo when she flew a MiG-21 bison in her first solo flight," the official. They were commissioned as flying officers in July 2016, less than a year after the government decided to open the fighter stream for women on an experimental basis.The IAF has already selected the next batch of three women trainee pilots for the fighter stream.